What a difference a great carrier can make! 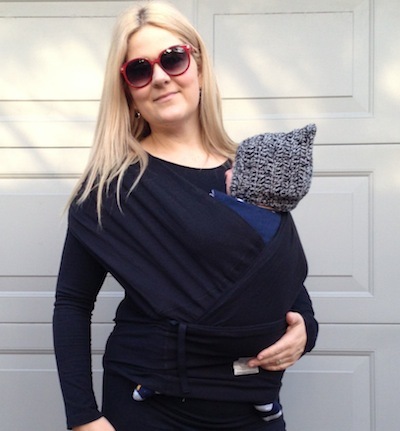 My baby boy went softly to sleep in this lovely wrap-style carrier from Baby K’tan… without all the wrapping palava. The style of the Baby K’tan Baby Carrier was a revelation – gorgeous soft folds of cotton, with none of the acrobatic manoeuvres required. Two loops, a one minute read of the instructions, a final wrap up with the thick back support band and we were away. It was so seriously easy to do. There are lots of different wrap styles to try – just follow the booklet and you’ll be an expert in no time. 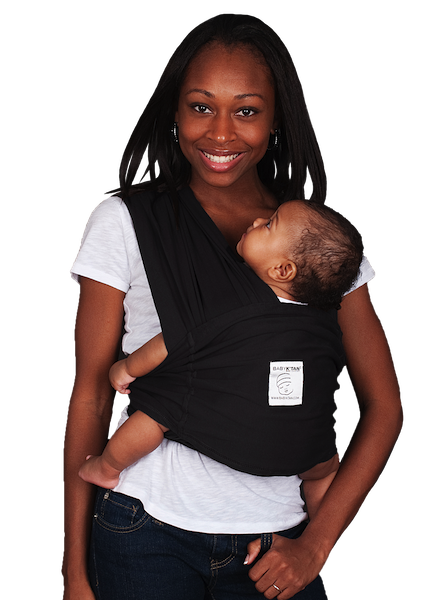 The Baby K’tan is a blend of sling, wrap and carrier – no buckles, clips, rings or snaps at all. 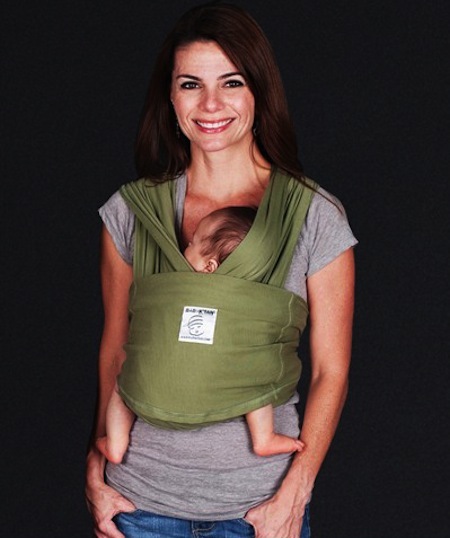 The K’tan distributes the weight of the baby evenly across both shoulders with its double loop design. Just choose your size correctly (from size 6 to 20) so that baby is as snug as he or she needs to be. You can also breastfeed without removing baby from the Baby K’tan and when you do remove it, it packs down into a very compact parcel which you can just pop in your handbag. 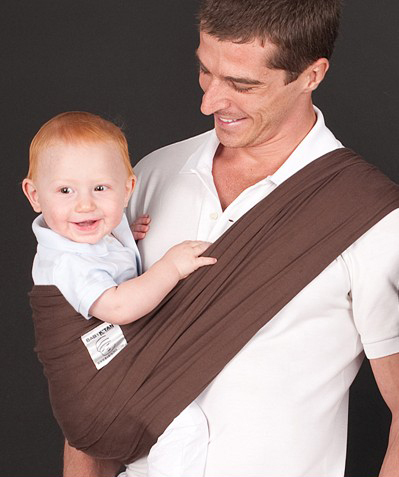 Now there’s never a reason not to have a baby carrier on hand when out and about. With a young baby, I never know when he will become unsettled and having a carrier in my bag is an absolute saviour. The one thing sure to settle him is a feed and a walk in the K’tan next to his beloved mum. It’s very sweet and I relish every moment! He’s also a little refluxy so being able to machine wash the K’tan and pop it in the dryer is a real advantage. Mini Monarch stocks Baby K’tan Baby Carrier locally. Buy yours in a choice of black, heather grey or eggplant for $89.95.